I have personally been a huge fan of Mrs. Paula Deen for some time. I have eaten at The Lady & Sons many times, I DVR all Paula Deen shows, I own many of her cookbooks, and I have saved her interview with Oprah and watch it over and over and over. I adore all things Paula, so I was just elated to find out that she is adding bloggers to her already popular blogging team, The Deen Team. I would be honored to be chosen to be a part of this team. I read her blogs faithfully. The Deen Team: click HERE! I have been blogging for only 10 months, and it is now part of my daily routine. My BFF Amanda of Dixie Delights talked me into blogging last December, and I have taken the plunge into this brave new world. I believe that Amanda should be selected for this honor, but I’d like a chance too. Much newer to the blogging experience, I feel I have what it takes to be part of a team. I am a true Southern gentleman at heart. I appreciate all things Southern. I love Southern ways of dressing, dining, decorating, and drinking. I hail from a small Southern town, Thibodaux, Louisiana, a town about 60 miles SW of New Orleans. I have lived in Atlanta, GA and now reside in good ole N’Awlins, that’s New Orleans. I am unique to the blogging world as there are not many male bloggers that I come across on a daily basis. I feel this sets me somewhat apart. I often bring a different prospective to the blogging domain. I have been partnered with the most amazing young man for over 14 years. I have a wonderful Southern family who love to cook, entertain, and tell stories. I could go on and on and on. My stories are endless. 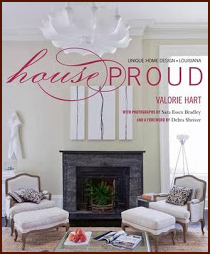 Personally, I love decorating my Southern home, diet cokes, sweet tea, raw oysters, wear Southern Tide & Southern Proper, Sid Mashburn, seersucker, beach bags, flip flops, scotch and ginger ale, slightly dirty Ketel One martinis, throwing parties, Mardi Gras… the list is endless. I enjoy the Southern way of life. 1. I am always passionate. I have taken flack from some of my friends for entering the blogging world, but it has become addictive. I really enjoy telling stories and sharing my many likes and dislikes in the world of decorating, shopping, and dining. I have been a leader since birth. No one tells me what I should or should not be doing or what I should or should not believe. I enjoy life and am very passionate about my beliefs. I eat and drink the Southern way of life. I love the spirit of the ocean as well as the spirit of Southern cities big and small. I adore seersucker and a great cotton polo. I love critter shorts and ribbon belts. Ray Bans and Costa sunglasses are always in style. I love thank you notes! Click HERE for photos of my Southern style. Click HERE for On Being Southern. 3. I love to decorate. Decorating is one huge passion of mine. Ever since I was a young boy, I have always enjoyed arranging and rearranging my bedroom. I too would get a huge rush walking into antique stores with my mom or grandmother(my Me-Me). As a past renter and homeowner, I still love to design and decorate my spaces to reflect my own sense of style. I prefer Southern design and shy away from clean, modern lines which I find museum-like. I love to decorate seasonally too. Click HERE for my Parlor post. 4. I love to entertain. Living in the party central of New Orleans, entertaining is a way of life. I reside only two blocks off the Uptown parade routes, so throwing huge parties is simply a way of life in February or early March. I have also loved to throw annual parties such as my “Happy Fall Y’all” and “Mix, Mingle, and Jingle” soirees. The fine details and delicious foods often set my parties apart. Click HERE for my party posts. 5. I love to create. I have created and decorated many homes and businesses since my early 20s. I love to create wreaths, garlands, and custom botanical arrangements. My arrangements are very Southern incorporating magnolia leaves, palm fronds, beach grasses, and more. I also love to create objects with the beloved Southern staple, the oyster shell. 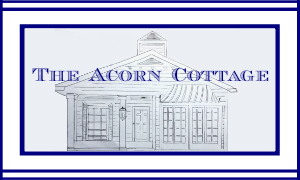 Click HERE for post on The Acorn at Wisteria Hill. Click HERE for creating the Oyster Shell wreath. Click HERE for Things I Make & Sell. 6. I love the beach. I think in an earlier life I must have lived at the beach. Ever since I was a young child, I always vacationed at the beach. From Grand Isle to Amelia Island, from Destin to South Beach, I feel the call of the ocean. The air, the smells, and the sun envelop me often. I am delighted to reside only a couple hours from the beach of my youth, Grand Isle. Grand Isle is one of my most favorite destinations (oh, the stories I could share). And I do have a thing for beach bags and flip flops. Click HERE for my Grand Isle post. From pillow cases to bath towels, Southerners monogram everything. I am no different. I have monogrammed beach towels, swim suits, sweaters, towels, tote bags, napkins, and much more. Being a teacher for a long time, I have loads and loads of information that I can share on education and educating our youths. Teaching middle school science, I am an expert at planning relevant lessons and activities. Teaching is a joy for me. I’d be more than happy to share my activities with readers. I also love to create bulletin boards which are unique and topical. I have been a past Teacher of the Year and Outstanding Young Educator of Thibodaux, my hometown. 9. I love to dine in great Southern establishments. Living in New Orleans, I am fortunate to be surrounded by a plethora of fine dining establishments and lesser known dives. From shrimp & grits to raw oysters, I enjoy true Southern staples. Click HERE for my favorite New Orleans restaurant post. 10. I love to collect. Collecting has always been a Southern way of life. I enjoy collecting and have collections of antler trophies, vintage trophy cups, Oysteria serveware, glassware, Alison Evans pottery, Laurel Wilder plates, horn-handles utensils & serveware, wicker demijohns, and more. The list of my collections is endless. I enjoy scouring the internet, flea markets, and antique malls to add to my many collections. Click HERE for my Oysteria post. 11. I love to shop. No matter what city J & I visit, I love to support local economies, and there is nothing better than getting to know the shop owners of small city & country shops. I love The Plantation Shop in Amelia Island. I adore Boxwoods in Atlanta. The Paris Market in Savannah is one of my faves. I adore the shops in the cities that dot the Gulf Coast. In New Orleans, I shop at Hazelnut, Aux Belle Choses, Gentry, Perlis just to name a few. It is also exciting to bring home a great memento from cities I cherish so dear. Click HERE to check out one of my favorite Magazine Street shops. 12. I love to read Southern magazines. Southern Living, Garden & Gun, and yes, even Southern Lady are magazines I love to read and peruse on a monthly basis. Coastal Living, House Beautiful, and Traditional Home are others I appreciate too. I am also a sucker for the special edition type magazines at the checkout. These magazines serve as great idea sources and give much inspiration. I love to learn from others. Click HERE for one of my fave magazine posts. You name the candle, I probably own it or have owned it in the past. From Southern candles like Low Country Luxe, a Savannah original to Seda France, a good smelling candle always sets the tone to my home and decor. I love to feature candles often and share the ones I like the most. Click HERE for one of my favorite candle posts. 14. I love a cocktail. You can’t get any more Southern than a daily cocktail in the parlor, on the porch, or in the courtyard. I love scotch & ginger ale, slightly dirty ketel one martinis, and an array of locale specialty drinks. Cheers! Click HERE for a cocktail post. 15. I love a “thank you”. Whether it be a note or gesture, a thank you is oh-so Southern. Good manners and a hand written note go a long way. Click HERE for my thank you post. 16. I love coffee talk (tawk!). Starting the day with a cup of coffee and visits with family and friends makes me happy. Sharing coffee talk in one of my favorite mugs while watching morning TV is what I long for. Click HERE for my Coffee talk post. 17. I love my family and friends. Last but certainly not least, family and friends! I have some great ones. It is through them that I feel love and support. I hope you will comment below because I know that Paula and her team will be paying the Uptown Acorn a visit in the near future. I would be elated to be part of the Deen Team of bloggers. I am quite new to this world but feel I have what it takes to make Paula, her team, and her readers proud. 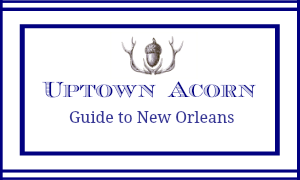 There’s a lot more about the Uptown Acorn to learn. Give me the chance. Thanks! I normally just like this Southern Nola boy's posts on FB , but here I am to tell you all that this man is a true southern boy . Hello Paula Deen and friends , meet our Nola guy , he is great !! Ron, wishing you the best of luck in your quest to join the Deen team! You would be a wonderful addition to their bloggers. I love reading your posts; and I get excited each time I see a new post from you! Wishing you much success! I recently found your blog. I love it! I'm working my way back to read all your previous posts. You seem to be the perfect southern gentleman and a fun friend. I wish I knew you so I could come visit you and you could show me all around NOLA. Good luck Ron! You'd be great for sure! Ron - I couldn't agree more! Yours is truly a unique voice in the blogosphere that deserves to be heard. I love that you present a view of the south that respects tradition, family, hospitality, and the graciousness of southern culture. And you remind us through your blogs that good manners never go out of style! Cheers y'all! Ron you would be a fabulous addition to the Deen Team of bloggers! Good luck my friend! Great post! I think this blog would be an absolutely perfect choice to add to the Deen Team. I'm another devoted fan who always has some 'Acorn" with my morning coffee. From design to shopping to the latest restaurants...it's always an interesting, insightful and fun read that feels like a person to person chat. This is the blog you want! Oh I'm sure she'd love to have you, southern gentleman in her team too! I love this post, so much wonderful things to see and you have a lovely family. I love to visit you Ron, hope one day I have the honor of your visit. I'm a Newyorker and as for now I'm sad and praying for all the affected by hurricane Sandy, my family and friends are fine, which is a blessing. Have a great and safe week. I also am a new reader and I really, really enjoy the perspective of a true Southern Gentleman! Keep up the wonderful blog, I am in the process of reading all of your posts...and I love how you always sign off with a "Y'all". I am a fourth generation Californinian, who, I believe, should have been born in the South...I love everything Southern! Good luck, you would be a wonderful blogger for Paula! PAULA, this is your MAN!! Love your blog Ron and you'd be a great addition to the Deen Team! Miss Paula, Your going to love Ron and his creative mind. You have a great blog and I can't wait to see what you have in store for Christmas. Surely, Paula needs you! She has to choose you to be on her team! It's the perfect fit! I too love your Y'all sign off and tell my friends and family about it because I think it's so cute. Keep up the great blogging work and Paula if you are listening "Choose Ron!" I think Paula would love to have you! So creative and talented! 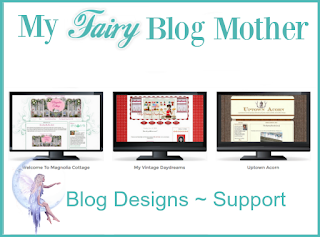 Your blog is one of my favorite daily reads! Keep doing what you do and it will shine through! you would be a fabulous addition to Paula's Deen Team! Keep up the great blogging! Reading your blog is part of my morning routine. I love your tips and pointers which allow all of us to enjoy life in a more fabulous, southern, fun-filled, and gracious way! Reading your blog is part of my morning routine. I love your tips and pointers which allow all of us to live our lives in a more fabulous, southern, fun-filled, and gracious way! You would be perfect for Paula Deen's Dream Team. You're definitely the man. I cannot imagine a better fit for the Deen Team than you, Ron. I love the way your blog spans all aspects of lifestyle with seeming effortlessness. Home decor, fashion, dining, libations and the like are all covered with detail and personal touch - often with fun back story. Your blog is always a great read and I am certain both Paula Deen and her followers will greatly enjoy it as well! You would make a great addition to the Deen team! Love reading your blog. There could be no more perfect choice for the Deen Team than your blog, The Uptown Acorn. Southern charm just oozes from your blog! Good luck, Ron and the Uptown Acorn. I love reading your blog! You would be a great addition to the Paul Deen Team! Best of luck to you! Ron... you belong on Paula Deens Dream Team! I have known you for a long time!! As a mother of one of your favorite students..lol..(You always had the most decorated classroom) , I've known you as a co-worker, as a friend. I have admired your creativity, you are a true Southern Gentleman with manors above reproach! Paula'steam would be lucky to have you! Ron, your flair for all things southern is delightful and imaginative. Your addition to Paula's team would be as natural as sugar to lemonade!!! Ron is the quintessential New Orleans Gentleman that could add some "NOLA" as a Paula Deen blogger. He is hospitable, fashionable and a doll to say the least. Everything that Ron posts on the Uptown Acorn represents what it means to be a Southern Gentleman from the Deep South. OMG!!! This is all you, Uptown Acorn. I read your words daily and love each one. You are always having some kind of fun. Thanks for letting me into your life. Best to you. Come on Paula's Team. This is a no brainer. Ron at Uptown Acorn gives great insight in decor, shopping, cocktailing, partying, fashion, and more. The only thing he is missing is children....but is that a negative? LOL. Good luck to you my friend. Your blog keeps me connected to my Southern roots even though I am currently living in San Francisco. It's a sophisticated and fun slice of Southern life! I can so see you and Uptown Acorn as a part of the Paula Deen Team! Sugar, you fit right in. Every day my co-worker and I simply drool over your creativity, your humor, your ability to be real and make us feel a part of your world in NOLA. Great blogs. Great site. Southern gentleman. I hope you are selected. Happy Halloween too! My daughter and I read this blog first thing in the morning. It is the hilight to my days here in Germany. I love the Southern US, and your blog brings me back to my youth when we travelled there. Good luck Ron and becoming part of the Deen team!! I couldn't think of a better person than you to be asked:). It was great seeing you this past weekend in NOLA! Miss Paula Deen..... you just HAVE TO PICK RON!!!!! There is just no finer a passionate Southern gentleman as Ron! This opportunity has your name written all over it. There is no guy more suitrd for this than YOU!!! (Just wrote a really LONG comment and lost it somehow. ps dont know what happened to my earlier post..hope this one shows..
Ron, your blog is part of my morning routine, even more so now that we only receive the Times Picayune three days a week. I don't get to work until I've had my cup(s) of coffee and a full read of the Uptown Acorn. I'm a huge fan of Paula Deen, and of The Uptown Acorn, and Ron would be the perfect addition to the Deen Team! Good luck, Ron! I hope you win. I can't think of anybody that would deserve to be a Deen Team blooger more than Ron. My first out of town trip with Ron was to Savannah in 1999 and it has been a special place for us ever since. We have eaten at The Lady & Sons and Uncle Bubba's and we watch every show that Paula does. This is a perfect opportunity for both Ron and the Deen Team!! I love reading Ron's blogs and I think he would be a perfect blogger for the Deen Team. 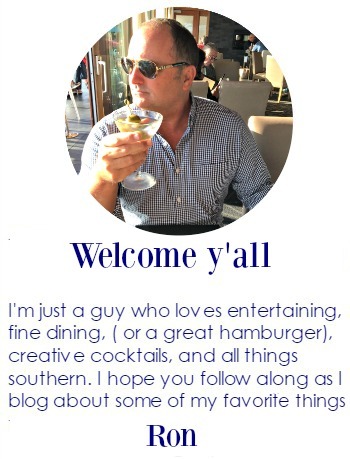 Ron's eye for design and passion for all things Southern would make him a great fit for the Deen Team bloggers. His tips for party planning and home decor are as entertaining as some of the fabulous soirees he shares with readers each month on Uptown Acorn. Reading Ron's blog is one of the most enjoyable parts of my day. He is a true southern gentlemen and Paula would fall in love with him the minute she meets him. He has style, class and all the qualities that make him a "true southerner". Adding Ron to the Deen Team is must. He is well liked and well respected in many parts of this state. Adding Ron to the Deen Team......might make it the "Dream Team"
Paula Deen would be so lucky to have your on the Deen Team! I read your blog daily and love your insights, tips, and humor. Ron Carrier, I can't wait to read your entries on the Deen Team blog. Look out world, here comes Ron! Your blog is always such fun- I look forward to your updates to brighten the week. Paula Deen would be lucky to have you on her team! Also Ron is a fabulous gardner and entry designer! The approach to his home is lovely and welcoming. I enjoy just walking past his house to see the new additions and changes he is always making! He would be an incredible addition to anyone's team!! Choose Ron, Y'all!! Good luck Ron, you would be awesome! Ron would make a great blogger for the Paula Deen Team! A perfect match! Ron's love for life, equiste taste and humor make for all things Southern. He would be a great member of your team!! Geaux Ron!! Paula I'm here to tell you that this guy has class and sass and would be a perfect fit for you blog team. His posts are fun, informative, creative and just down right entertaining! Ron is your man for sure!! I am a native southern girl and have always loved Paula Deen too! She is the mother of 2 boys, just as I am. I feel a connection to her that way. I have always felt, after reading your blog posts that you have a "classy" factor with home decor and entertaining. The fact that you are a southern "gent" in a blog world filled with mostly girls, makes you a face that stands out from the crowd. That sets up apart from others in a good way. I think Paula Deen would be proud to have you on her team. Then we could all say we knew you when. Ha! Ron, My previous comment seems to have disappeared! I know you would be a huge asset to the Deen Team and Paula would be lucky to have you. You are a true Southern gentlemn with much style and class. Love this one - One of your best! Paula will have met someone who can take her message to the next level! I love reading your post. I find you to be super talented and you'd be a great addition to the Deen Team. Best wishes! Ron you are perfect for the "Deen Team"....no on could do it better......good luck!!!!!! Miss Paula would be crazy to pass up the opportunity to have you on her team! I look forward to reading your blogs at coffee-tawk! Good Luck! Ron - I enjoy reading your blog everyday. Whether it's tips on decorating for the holidays or an occasional recipe (cocktails included), they are always entertaining and never boring. I especially love all of the New Orleans references because they remind me of my hometown that I miss very much. You would be a perfect addition to the Deen Team. Good luck from Mawwty in Atlanta! Dearest Ron, You MUST be part of the Deen Team. You are such a beautiful Southern Gentleman. You're extremely creative and fun just like Miss Paula. I'm a Michigander but LOVE Louisanna and I can live through you until I can get there each winter, when I become a Snowbird. Savannah, GA is my favorite city in the south. I love everything southern. From you, Miss Paula, wonderful food, cocktails and manners. I think the rest of the country should take a lesson on living life from the South!!! I love Ron's blog. He's a true Southern gentleman! This is a wonderful blog. It's always tasteful and so much fun! This entry captures everything I love about Ron and the South. Ron, I love your style and I love reading your blog. I may not comment often but I do read often!!! This is one of my favorite blogs and my favorite blog on southern living. Ron would be a great addition to the Deen Team. I am from the NorthEast and I don't think I know anyone more Southern than Ron. I know he just loves, loves, loves, Paula Deen!!! He is a great guy with great values. I love his blog!!! Coffee Tawk!!! Please put him on the team!!! Now living in NYC, I read your blog to keep me connected to two of my favorite cities: Thibodaux & New Orleans. I live up North now but need to get my Southern fix on a regular basis & you have fulfilled that need a thousand times over. I never tire of your posts on decorating, recipes, restaurant comments, cocktails, etc. & everything Southern! Thank you for a wonderful blog & Paula Deen would be lucky to have you! I cannot imagine a better fit for the Deen Team than Ron! He is the very embodiment of savvy, classy Southern style. You'd be missing the boat if you let him slip away, Ms. Paula! The Deen Team and Ron, what a great combination! Paula and her team would be lucky to have such a talented Southern Gentleman. I enjoy looking at your blog and I'm really proud of you for keeping up with it each day. I KNOW that it not easy. You have made a huge commitment, but you know you have loyal followers that look forward to looking at your posts each day. 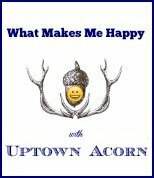 What would uptown living be like without the Uptown Acorn? Your blog is part of the fabric and flair of New Orleans life. Ron,I have been a fan of your blog for several months now and look forward to checking in every day to see what you're up to. I think you would be a wonderful addition to the Deen Team. Thank you for sharing your home, talents, and life with us through your daily posts. Good Luck! Ron is a MUST to the Blog Team!! It's Ron's blog ya'll!! If you don't pick Ron, I'll stop eating butter. So let it be told... Or in Ron's way let it be lived. Ron tells a story so descriptively by his own life. His southern charm and southern hospitality are beyond the ideas and principles of any true southern gentleman. His home and life come alive by his own unique twist to story telling.... You haven't experienced unless you have through the eyes of Ron. Adding him to the blog team will open other's eyes to a world almost unimaginable... Leaving others to Want more...leaving others wanting to experience it for themselves. Wow is all I can say. I started reading this young man's blog a month ago and am hooked on it daily. He is Paula's pick. We hope! Best of luck Acorn. I'm watchin Paula right now - she's my favorite celebrity! And Ron - you are one of my absolute favorite bloggers. I'm a Northern girl who loves everything Southern and you are at the top of that list. You ooze Southern charm and your taste is impeccable. So happy to have met you here in blogland and grateful to have you as a friend. Good luck! I really look forward to your posts and think you would be a fantastic addition as a member of the Deen team. Yep! You would be a great contributor to the Deen Team! I saved your choc. caramel shortcake and choc chip brownie recipes! Really love the way you decorate! Thanks for inviting us into your home! What fun- you'd be a fantastic addition to the Deen Team...a very unique voice. Good luck! Your unique voice would be a welcome addition-good luck! Good luck, Ron! You would be perfect for the Deen Team. I love reading your blog everyday. It is the highlight of my morning. Ron would be absolutely perfect for the Deen Team!! He loves all things southern from food, to clothing, to decorating!! Good Luck to you!!!! Ron, you are the ideal candidate for Paula! What's not to love? Your attention to details, your style, Southern grace & charm are perfect for the job. Good luck,my friend! By all means, I sure do hope you add Ron Carriere of The Uptown Acorn to the Deen Team. Some people are born to shop, he was born to blog. He is intelligent, handsome, passionate, comical and I could go on and on. He would indeed be an asset to your team. I started following Ron's blog, The Uptown Acorn, two months ago and, in that short time, have become completely hooked on it for my daily dose of written sunshine! Ron covers a variety of interesting topics and always presents them in a caring, intelligent. fun manner. I live in California but reading The Uptown Acorn often makes me want to pack up and move to Dixie! Good luck Ron! I think you would be perfect for Paula Deen's blogging team! Ron would be the perfect Southern fit for the Deen Team! He is an inspiration to us "much less talented" Southerners! Good Luck,Ron! You would be PERFECT for this! So southern! I hope Paula (who I LOVE) picks you!!!!!! I'm a lil late to the game, but hope not too late! I wanted to get a 'few' words of support in for the one and (thankfully) only, Ron Carrier! Ever since I've known Ron he has always had a wonderful sense of style and a let's say, 'colorful', zest for life! His parties are always a must get to event and are perfectly prepared, whether it's a birthday, Christmas or our local high holy day ... Mardi Gras, we all enjoy a great Perrier Street party. My partner and I look forward to spending an evening out with him and Jeff because we always know the food will be fabulous and the drinks will be flowing. He’s always willing to suggest dishes at any restaurant we go to because one of the things he’s best at is making reservations! I always tease him about his lil 'rag sheet' but if truth be told, I'm very impressed with the success he's had in his first year. He's the perfect go to person if you're looking for that special gift for someone or want enjoy a delicious meal off the beaten track. I was in awe recently when I was following him through his house as he was showing it to friends for the first time. He knew EXACTLY where each and every piece of furniture, framed print, napkin, lamp, etc. came from and who made it! For anyone that's been in his house, you know there's a lot of stuff in there to remember! So Deen Team, if you're looking for someone that lives life to its fullest, is filled with a wealth of information about decorating, traveling or dining out and is willing to share it all with your followers, please, by all means pick Ron. You WILL NOT be disappointed! Did I see you sporting a LaCoste? Gotta love those gators! I am a misplaced Texan living above the Mason-Dixon Line for the past 13 years. I do spend a lot of down back home as all my family and friends are there. Good Luck Ron! I'll be back to visit. I think you would be fantastic! I love that you LOVE being a teacher, both of my son's are teachers too. I really admire that in you!